This was my plate at our Super Bowl party. If I could have just one little cheat, it had to be chicken wings. 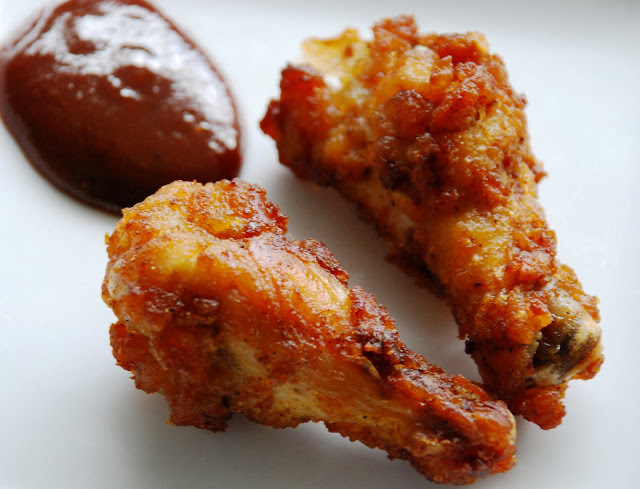 What is Super Bowl without chicken wings anyway? Was it my imagination or did I hear the bacon wrapped scallops calling my name? Guess I need to stop listening to all this table talk or I’ll gain 10 pounds before I even leave the appetizer table.